Clements posted a 6-1 record in league games with a 2.12 earned run average. 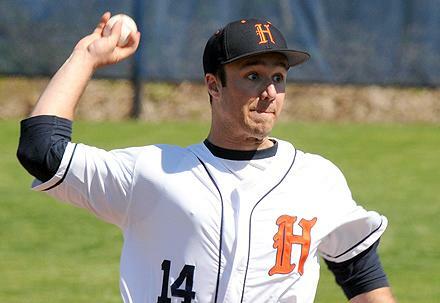 He topped the MIAA in strikeouts with 58 in 47 innings pitched. For the regular season he posted a 7-2 record to become Hope's career leader for victories (24-7) and complete games pitched (20). His career record in MIAA games was 18-5. A two-time All-MIAA honoree, Clements is joined on the first team by battery mate Jon Ponte, a senior from Novi (Dearborbn Divine Child HS). Hope players named to the All-MIAA second team include junior second baseman Ty Peterson of Wheaton, Ill. (Warrenville South HS), sophomore third baseman Eric Dawson of Grand Haven (Midland HS), senior shortstop Chris Mattson of Muskegon (Mona Shores HS), junior outfielder T.J. Klein of Circle Pines, Minn. (Centennial HS), and junior pitcher Cory Schmidt of Milan, Ohio (Edison HS). Coached by Stu Fritz, the Flying Dutchmen tied for second place in the MIAA standings and posted a 22-18 regular season record.